Noit and I had the great honor of speaking at Kingsland Baptist Church in Houston, TX for a few days this December and we were looking forward to the great feeling of Christmas in America. At night we drove around and looked at Christmas lights, listened to Christmas music non-stop, and ate great Christmas food! However, somewhere deep down it seemed foreign and artificial for us to celebrate in cool weather in the comfort of beautiful homes and stained glass churches. Christmas dinner: Food is always important and we want to do something special. We don’t have turkey here in Cambodia and there is nothing special about our boney village chickens. One year we had 9 dogs at one of our children’s center and it was decided that “puppy chow” (eating the dogs) would be special. Each year we have unique meats. This year: goats! 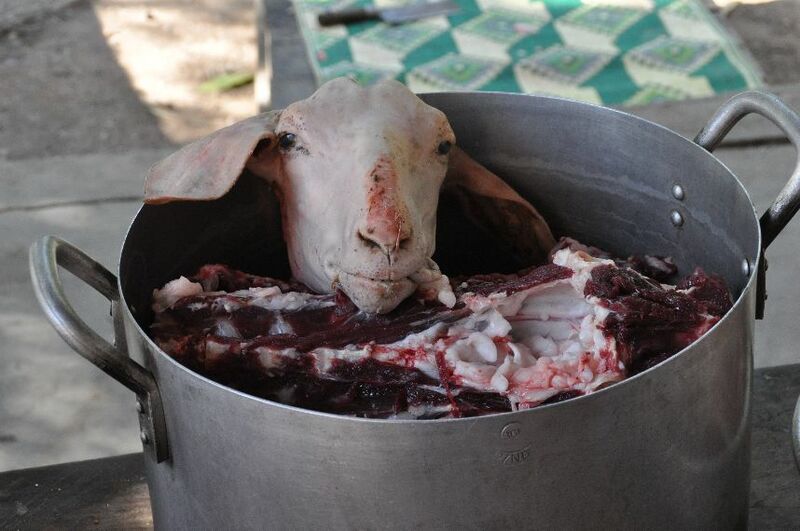 There is no supermarket so we raise and process the animals ourselves. 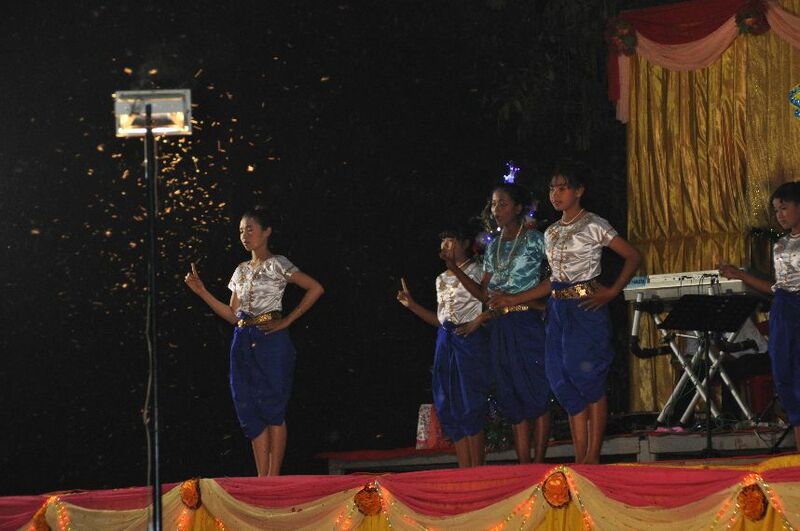 Public Services: This year we held a joint Christmas in Poipet city. There were hundreds of people who came, but there were billions of bugs which showed up too. It felt as if every bug in the world came to join our Christmas celebration. 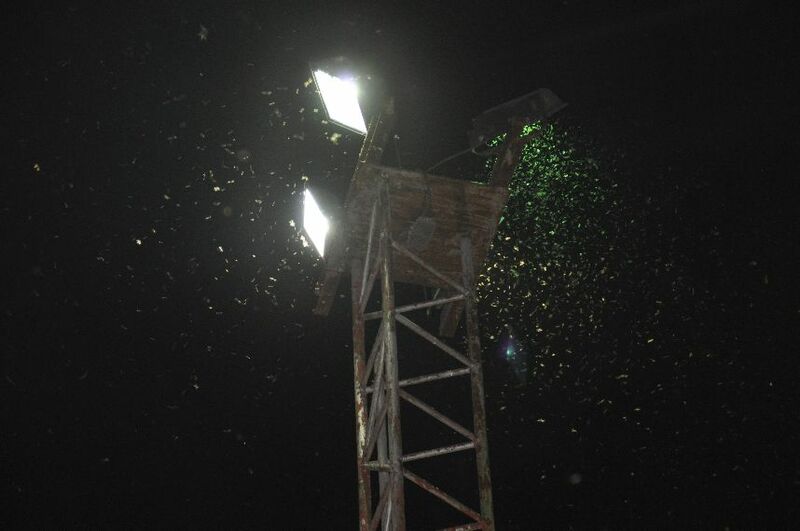 It is hard to have a “Christmas” feeling when you are swarmed by bugs, crawling inside your pants and down your shirt, stink bugs making the humid air pungent, and swarms blocking the view of the stage. Yes, there were plenty of disease ridden mosquitoes too. Presents: Everyone loves presents. It is a way that we can show love to each other. This thanks to the generosity of people all over the world, including Brazil, Australia and America, each child got many presents. This year we gave out hundreds of thousands of tracts provided by David C. Cook as well as New Testaments for new believers. We opened our presents sitting on the ground outside because it was far too hot inside the buildings. Well, now you have a bit of an understanding of what a missionary Christmas is like in Cambodia. But most of all, the Christmas celebrations have little to do with the food we eat, the comfort we have or the songs we sing. Christmas to us is very important. It is a celebration of the birth of Jesus in a place which often dislikes followers of Jesus. It is an opportunity for us to demonstrate the love of Jesus. 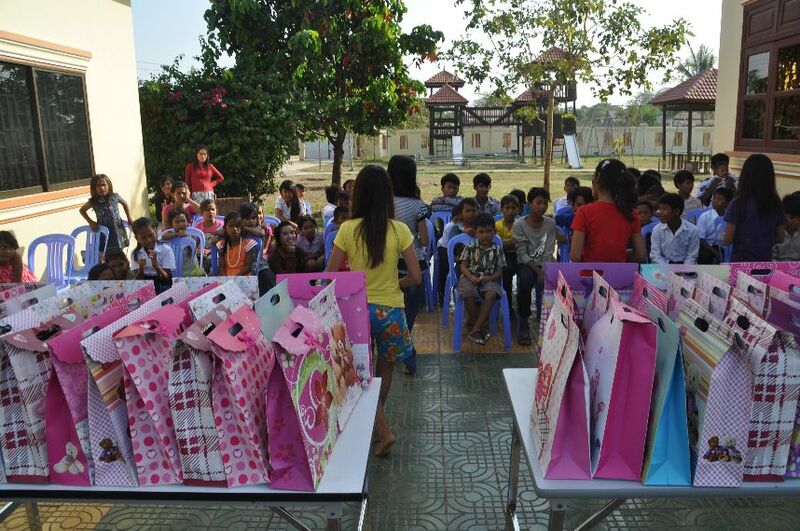 All across Cambodia pastors, children and believers share their favorite Christmas verse: John 3:16. And every year thousands upon thousands of more people join in our life long celebration of Christmas. “For God so loved the world that he gave his one and only son, that whoever believes in him would not perish but have eternal life” (John 3:16). You bring the joy of Christmas everywhere you go.